WASHINGTON — Acting Attorney General Matt Whitaker told lawmakers Friday he has not shared information he’s received about special counsel Robert Mueller’s probe with President Donald Trump or any senior White House officials, nor has he personally taken any actions to interfere in it. “We have followed the special counsel’s regulations to a T,” Whitaker said at a House Judiciary Committee hearing. But the much-anticipated first appearance of a high-ranking Trump administration official before the newly-empowered Democratic majority produced fireworks on the issue of executive privilege, as Whitaker said he reserved the right not to answer questions that involve his personal conversations with the president. At one point, when asked by House Judiciary Chairman Jerry Nadler, D-N.Y., about whether he had to approve any actions by the special counsel, Whitaker pointed out that it appeared the time allotted for his round of question had expired. “There has been no event, no decision that has required me to take any action, and I have not interfered in any way with the special counsel’s investigation,” he said. Democrats hoped Friday’s six-hour hearing would address their concerns about whether Whitaker’s promotion to acting attorney general last November was part of an effort by the president to undercut the Mueller probe. The former attorney general, Jeff Sessions, had recused himself from overseeing its work. Republicans accused Democrats of political grandstanding. They, and later Whitaker himself, said Democrats were simply trying to stage a retroactive confirmation hearing. The Senate will vote next week on William Barr’s nomination as the new attorney general, and Whitaker often noted he was only in the job another six days. Democrats countered that it was important to demonstrate what factors may have led the president to chose Whitaker over other officials to serve as the interim attorney general, especially given his past criticism of the Mueller probe. And they pressed Whitaker about why he ignored the advice of Department of Justice ethics officials that he should recuse himself. Whitaker said Trump “did not ask for, and I did not provide any commitments, promises concerning” the Mueller investigation, and that he did not discuss his views about it with him or other senior White House officials prior to becoming Sessions’ chief of staff. He also said there was no written guidance about his potential recusal, and that ultimately the decision was his to make. Several Democrats asked Whitaker if he thought the Mueller probe was a “witch hunt,” as Trump has repeatedly called it. Whitaker only repeated that he would not comment on the investigation. Rep. Eric Swalwell, D-Calif., asked Whitaker if he believed Mueller was honest, then asked him to say directly to the president that Mueller was not conflicted in directing the investigation. “I am not here to be a puppet to repeat the terms and words you say,” Whitaker responded. Whitaker was appearing before the committee voluntarily. But Democrats had repeatedly requested that he work out in advance of the hearing what topics he would not be able to answer because of a potential claim by Trump of executive privilege. When he did not specify any by their 48-hour deadline, the panel voted to authorize the use of a subpoena — which in turn led the Justice Department to say Whitaker would not appear under a subpoena threat. Nadler ultimately wrote to Whitaker saying they would agree to withhold any subpoena, and instead work with the Justice Department to resolve issues. Still, Nadler said during Friday’s hearing that he intended to call Whitaker back for a private deposition in the coming weeks after working with the Justice Department and the White House to identify specific issues where Trump would invoke executive privilege. And he said after that he was prepared to issue a subpoena to compel Whitaker to return if necessary. Rep. Doug Collins, R-Ga., the top Republican on the Judiciary Committee, accused the Democrats of overreaching so early into their new majority. He used his opening statement to accuse Democrats of using Whitaker’s appearance simply for “political theater” designed to attack Trump, and made a motion to adjourn the hearing before it even started. “This is nothing more than a character assassination,” he said. Collins’ fellow Republicans mostly used their question time to pivot from the counterintelligence investigation to raise other issues, including the opioid crisis, sanctuary cities and other immigration issues, and abortion. Rep. Jim Jordan, R-Ohio, also turned to a favorite target of his — Deputy Atty. Gen. Rod Rosenstein. He asked Whitaker if the memo he wrote outlining the parameters of the Mueller investigation included the authority to investigate specific Americans. “In this country we don’t investigate people, we investigate crimes,” Jordan said. Whitaker said he couldn’t address that question directly. Some of the panel’s newer Democratic members also addressed immigration, as well as voting rights and a rise in hate crimes. Rep. Pramila Jayapal (D-Wash.) pressed Whitaker over the issue of child separations, leading him to concede the Justice Department was not tracking when parents were separated from a child at the border. “Do you know what kind of damage has been done?” she asked. 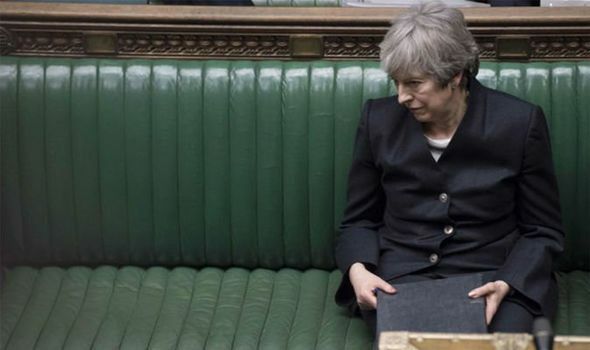 THE UK’s gruelling departure from the EU is stressing voters out so much it has sparked a new condition dubbed ‘Brexhaustion’. President Donald Trump said Friday he is “giving strong” consideration to a plan to bus detained immigrants to so-called sanctuary cities as a way to retaliate against Democrats. 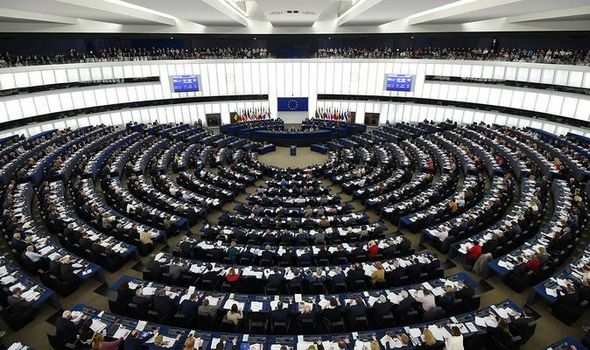 PREPARATIONS have begun for the UK to take part in the upcoming European Parliament elections amid another delay to Brexit. So how do these elections work?